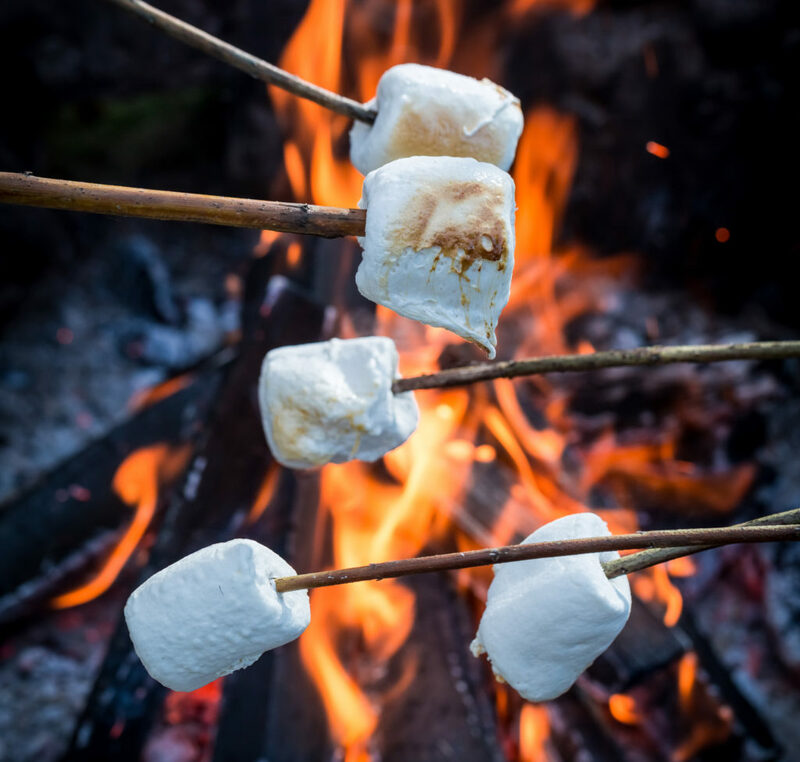 The secret to toasting a marshmallow is to find a spot near glowing coals, rather than hovering your mallow over the top of the fire, where the heat is uneven, or sticking it directly in the flames, where it will scorch on the outside while remaining uncooked in the middle. 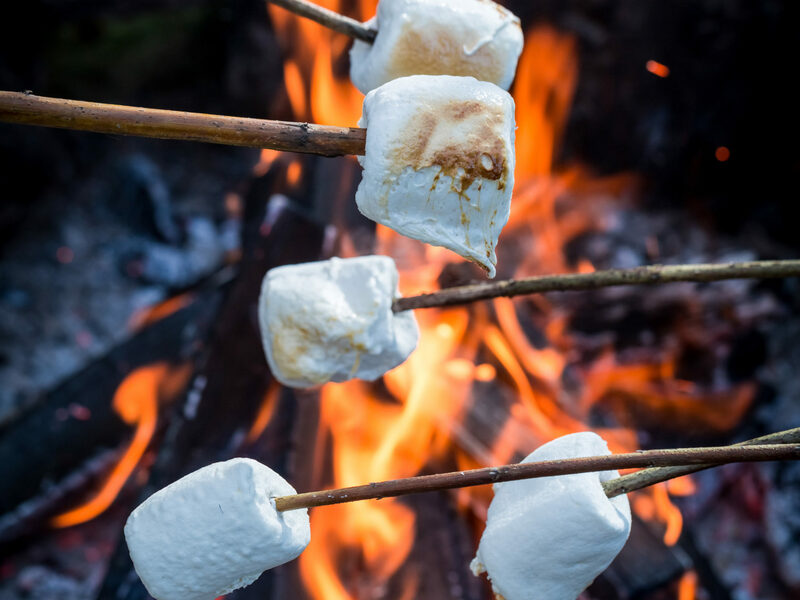 Position your mallow at least 4 inches away from the coals. One way to make sure you don’t burn the mallow is to cook it in a cooler spot, and then finish it off close to the coals. Be patient and watch your mallow closely. This is a delicate procedure and should not be rushed. Once you secure your spot, slowly rotate the marshmallow, like a rotisserie chicken, so it roasts evenly. You will know you’ve achieved perfection when your marshmallow is an even, golden brown and the inside is soft and gooey. If you’re making s’mores, have your graham crackers and good quality chocolate ready to go. If you can, preheat the chocolate atop the cracker so everything is all melty once assembled. Do this by placing your chocolate on top of a half graham cracker and place this on a piece of tin foil. Set the foil on a rock near the fire.